The Buffalo Sabres have made newly acquired forward Ryan O'Reilly their highest-paid player by signing him to a $52.5 million, seven-year contract extension on Friday. The Sabres announced the signing, while two people familiar with discussions revealed the value of the contract to The Associated Press. The people spoke on the condition of anonymity because the Sabres did not disclose the monetary terms. Ryan O'Reilly's extension kicks in after he completes the final year of his existing contract, which will pay him $6.2 million next season. He will make $11 million in 2016-17 of an extension that runs through the 2022-23 season. The 24-year-old O'Reilly is regarded a top-line talent and was acquired from Colorado in a trade that involved five players during the first round of the NHL draft on June 26. The Sabres also acquired forward Jamie McGinn, while giving up forward Mikhail Grigorenko, JT Compher, defenceman Nikita Zadorov and the 31st pick of the draft. "It's not easy to find a player who, at his age, is already established in the league as someone who plays a complete game and makes his teammates better," said general manager Tim Murray said in a team statement about O'Reilly. "When we acquired him, we viewed him as someone who could immediately improve our roster, but was still young enough to make an impact for several years to come. And this contract reflects that belief." O'Reilly will get a chance to play alongside rookie centre Jack Eichel, who was selected with the second pick in the draft. O'Reilly had 17 goals and 55 points in 80 games last season. 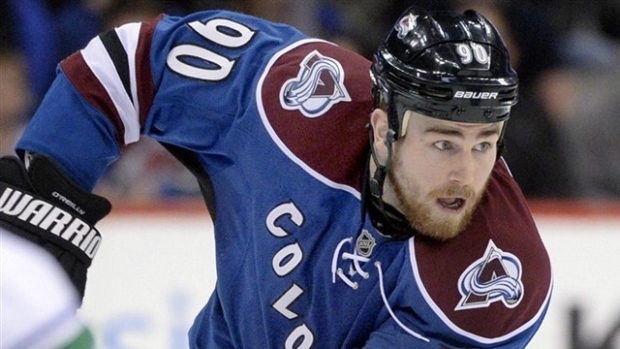 He also led Avalanche forwards in averaging nearly 20 minutes of ice time. The sixth-year player has 90 goals and 246 points in 427 career games. O'Reilly is a key fixture in a rebuilding process for a Sabres team that's coming off consecutive last-place finishes. He will be part of a new-look team that added goaltender Robin Lehner in a trade last week. Forward Evander Kane is preparing to make his debut with the Sabres at the start of this season. Kane was acquired in a trade with the Winnipeg Jets in February, but missed the remainder of the season after having shoulder surgery. Buffalo made two other moves Friday, including signing O'Reilly's older brother Cal to a two-year contract. The Sabres also signed free-agent defenceman Carlo Colaiacovo to a one-year contract. Cal O'Reilly, 28, has spent much of his career in the minors, and also spent two seasons playing in Russia's Kontinental Hockey League. The forward spent the past two seasons playing for Utica, the Vancouver Canucks' AHL affiliate. Selected in the fifth round of the 2005 draft by Nashville, O'Reilly has 13 goals and 41 points in 113 NHL games split between Nashville, Phoenix and Pittsburgh. Colaiacovo is a 12-year NHL veteran, who had two goals and six assists in 33 games with the Philadelphia Flyers last season. He also played for St. Louis, Detroit and Toronto, and combined for 33 goals and 152 points in 434 career games.